Oroonoko, the grandson of an African king, is madly in love with Imoinda, the daughter of the king's general. When the king-who is also in love with Imoinda-catches wind of their affair, he sells Imoinda as a slave. This betrayal sets off a chain of events that carries unforeseen consequences for everybody involved. 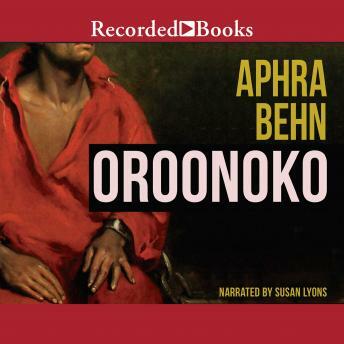 Aphra Behn's Oroonoko has been hailed as one of the first great English novels and remains a classic of historical fiction.